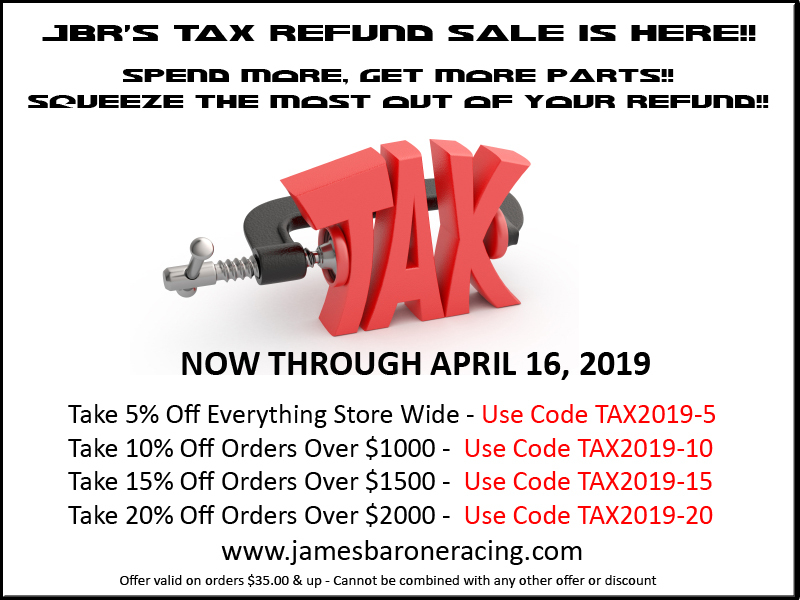 JBR's TAX REFUND SALE IS HERE!! Up to 20% Off!! | Mazdaspeeds.org, The New Era in Mazdaspeed, CX-7 & Ecoboost Forums! Discussion in 'James Barone Racing' started by JBR, Mar 4, 2019.